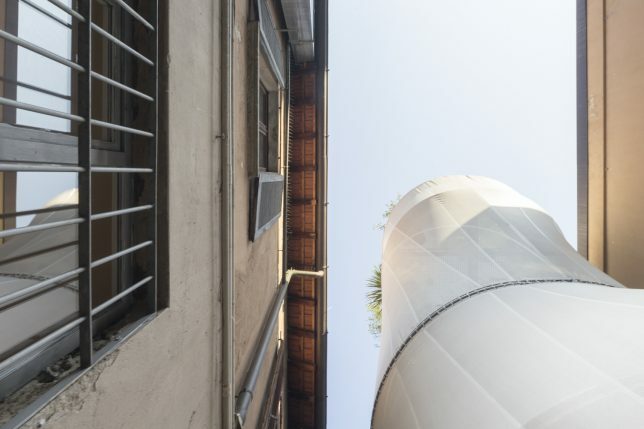 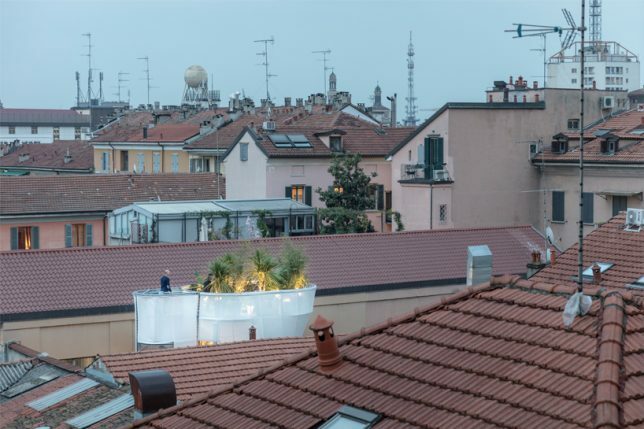 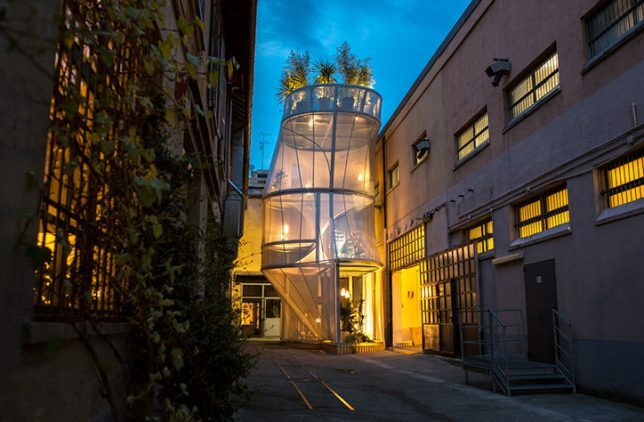 Extending beyond the existing rooftops like a fast-growing plant, this compact cylindrical home slotted into an unused urban plot in Milan features a breathable ‘skin’ connecting the interiors to the outdoors. 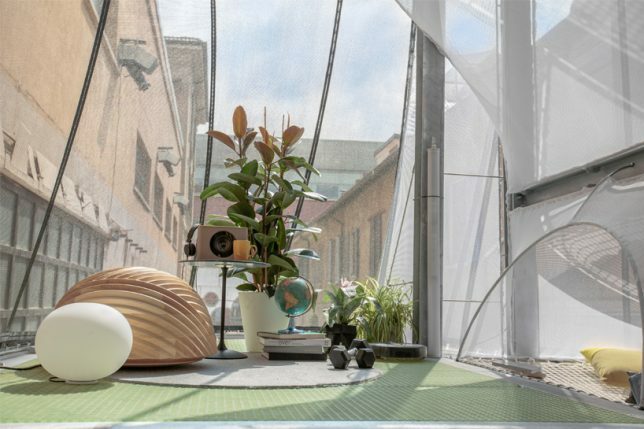 Designed by New York-based architects SO-IL for Milan Design Week 2017, the MINI LIVING ‘Breathe’ installation is a response to the growing challenge to maximize available space in cities to comfortably accommodate more residences. 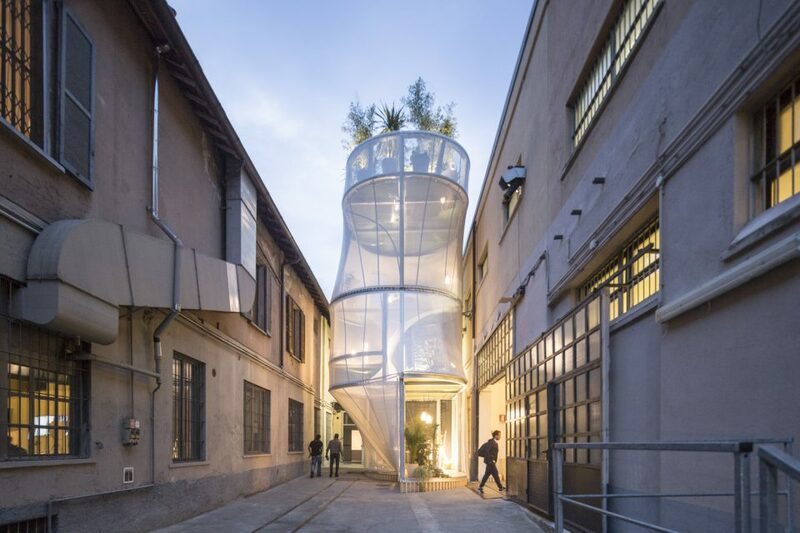 Built on a modular metal frame covered with a flexible, semi-translucent envelope that reacts organically to the environment, the home was designed for a family of three, and features six rooms and a lush rooftop garden. 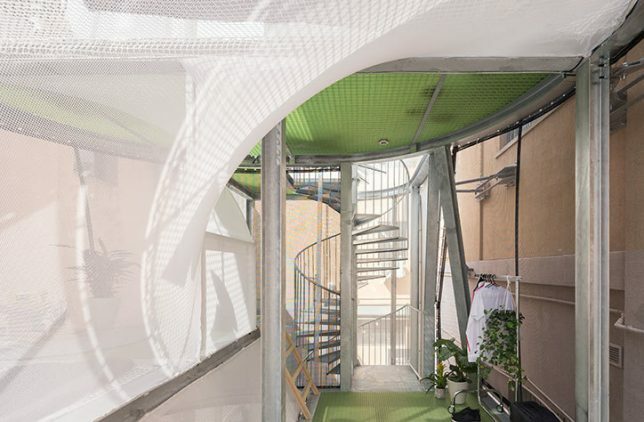 The ground floor is transparent to encourage interaction with the world outside; climb the spiraling staircase and you’ll find a series of private spaces for relaxation, work and sleeping, all separated by fabric canopies. 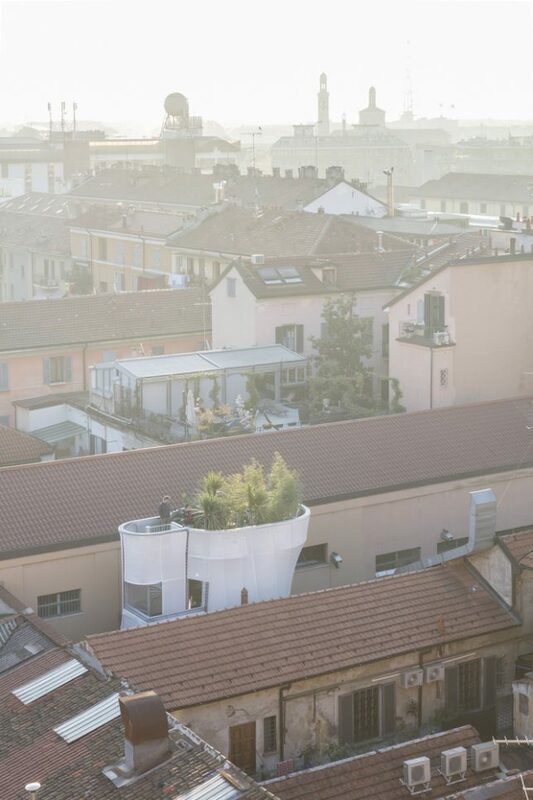 The outer skin lets in filtered sunlight, while the rooftop garden collects rainwater and helps filter the city air. 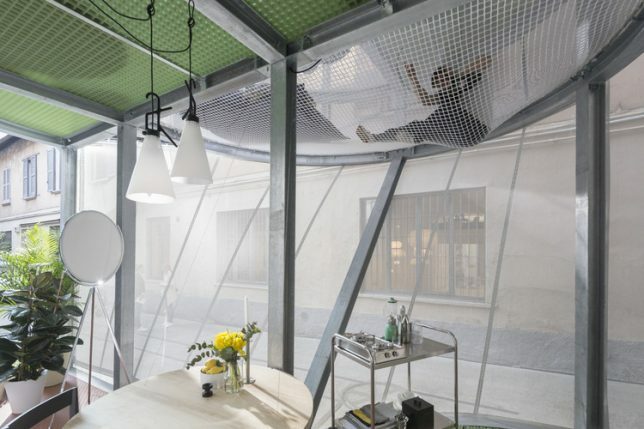 Hammock-like nets suspended from the upper levels look out onto both the city outside and the interiors below. 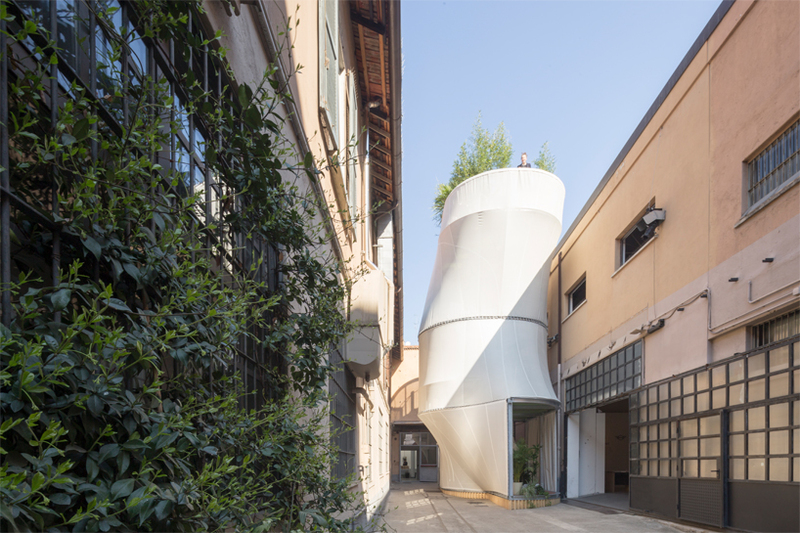 The architects describe the skin as a ‘jacket’ that can be zipped and arranged differently to protect against various external conditions. 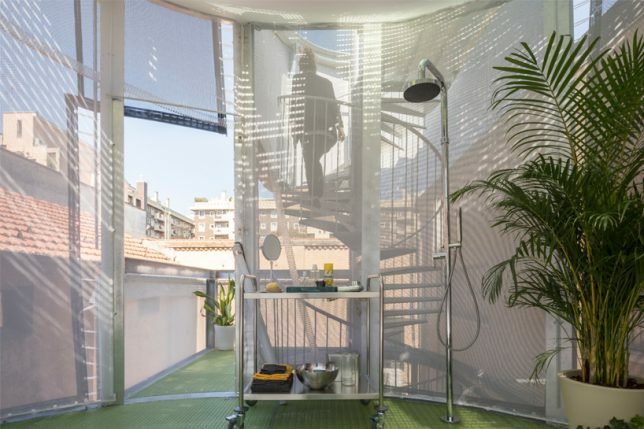 The more you layer it, the more privacy or water resistance it offers, so inhabitants can customize the needs of different rooms. 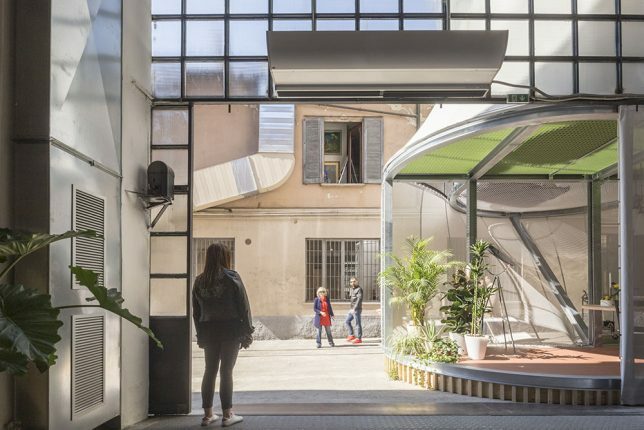 The idea, in part, was to ‘tune’ the interiors to the rhythms of the city, the weather and the sun outside, eliminating the closed-off feel that many homes tend to have. 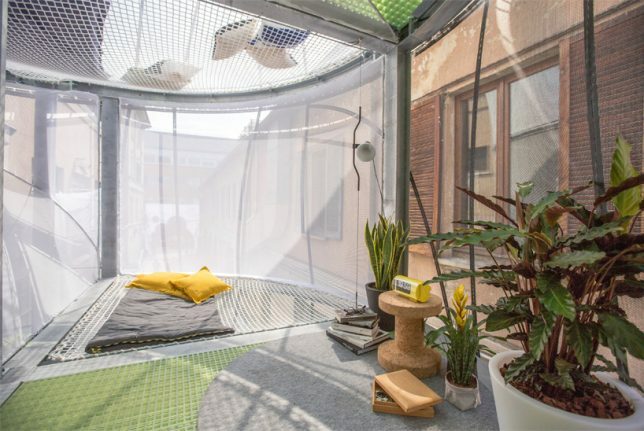 While the tent-like design may not be viable for many urban centers where cold weather, rain and theft might be a problem, it’s an intriguing idea for layering with more solid and secure materials like glass.